I'm gonna do what I didn't the first time to change everything! 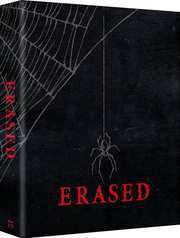 "Erased is a sci-fi thriller series based on the award winning manga series (2014 Manga Taisho Award) by Kei Sanbe. The dream production team includes director Tomohiko Ito (Sword Art Online), character designer Keigo Sasaki (Blue Exorcist), composer Yuki Kajiura (Sword Art Online), Fate/Zero, Madoka Magica), and animation studio A-1 Pictures (Sword Art Online, Your Lie in April, Blue Exorcist).